AlphaEMS offers custom electronic assembly services including PCB prototyping, rigid-flex circuit manufacturing and electro-mechanical assembly. We serve a broad range of electronic industries, including industrial, medical, military, mobile, networking and semi equipment. Our custom electronic assembly services include PCB design, prototyping, manufacturing, testing/quality assurance, order management, warehousing and shipping services. AlphaEMS has years of custom electronic manufacturing experience on our staff, giving us the ability to provide professional review and feedback for manufacturability. Our veteran electronic component engineers will advise on layout, spacing, heat and noise considerations. Innovative companies throughout Silicon Valley trust our quality and ability to fabricate custom electronic components, PCBs (rigid and rigid flex) and custom cables. We are conveniently located near three major airports (Oakland, San Jose and San Francisco) for our national clients’ quick delivery. 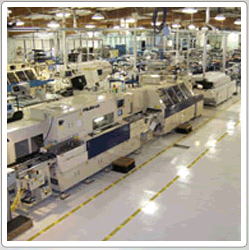 Contact us at (510) 498-8788 to learn more how we can assist with your next custom electronic assembly project.